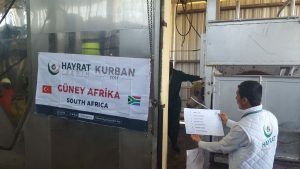 As Eid-ul Adha celebrations came to an end, the Muslim Judicial Council (SA) in partnership with Hayrat Humanitarian Aid Association successfully concluded their Udhiyah/Qurbani Programme for 1438/2017 in the Western Cape, on Monday. 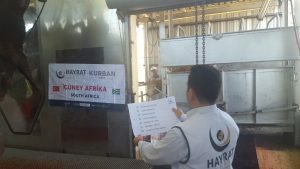 The Hayrat Humanitarian Foundation is a Turkish based relief organization established to assist with the needs of the Turkish and international community both spiritually and economically. 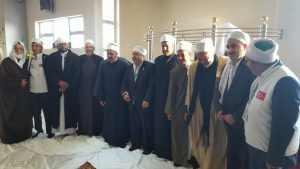 The partnership between the organisations began in 2014 under the leadership of then MJC President, Moulana Ighsaan Hendricks. 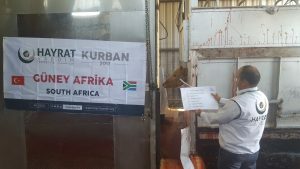 This year, twenty-three bulls were purchased, slaughtered and the meat distributed to several underprivileged areas in the province including Porterville, Paarl, Chatsworth, Houtbay and Schaapkraal. 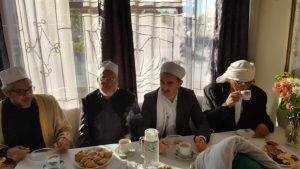 Eid Salaah was performed at the Darul Islam Surrey Estate under the auspices of Shaykh Moegamat Ighsaan Taliep, President of United Ulema Council of SA. 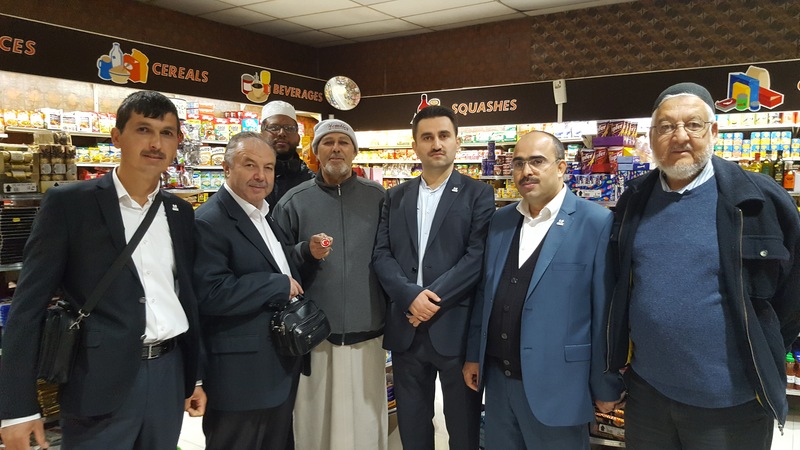 The delegation arrived on Wednesday from Turkey and departed our shores on Tuesday afternoon. 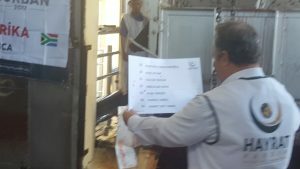 Twenty-three bulls were slaughtered on Eid Day. 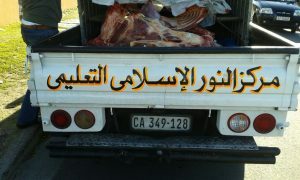 All the bulls were purchased in South Africa and slaughtered on behalf of the Turkish people. The names of those who intended the slaughtering were read out. 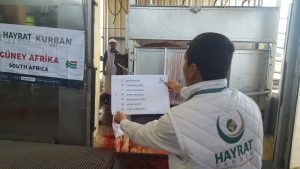 The slaughtering took place at the Paarl abattoir on Eid Day. 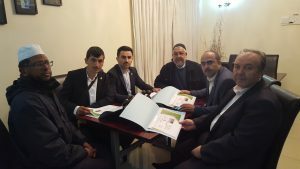 This the fourth year of the project between the MJC (SA) and Hayrat Foundation. 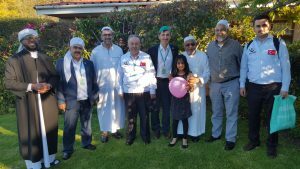 Eid Day – the delegation had lunch at the beautiful Roggeland Guest House in Paarl. 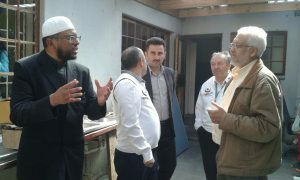 The following day, the delegation arrived for tea at Shalimar Farm in Klapmuts. 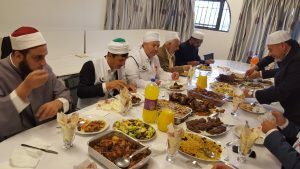 Our gratitude is extended to An-Nur Educational Centre who provided lunch to everyone. 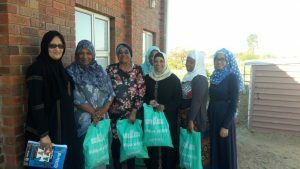 Meat distribution was made across the province, including An-Nur Orphanage in Woodstock. 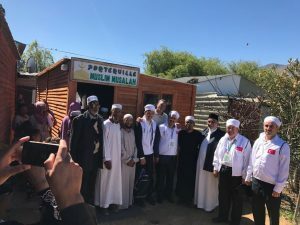 Porterville was the next stop for the delegation on Sunday as they continued to distribute Qurbani meat and Eid gifts to the community. 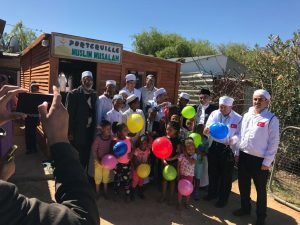 The children of Porterville were extremely happy. 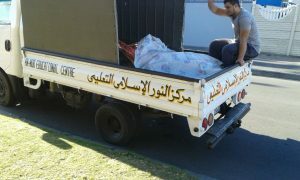 Carcasses being transported for distribution. Between meat distribution, the delegates also had an opportunity to tour some of Cape Town’s main attractions. 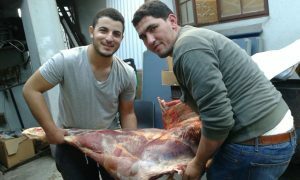 Distribution of meat was done efficiently and effectively over the three days of tashreeq. 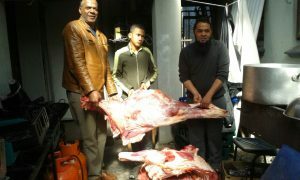 Meat distribution also took place at Masjidul Bagr, Hout Bay on the Monday. 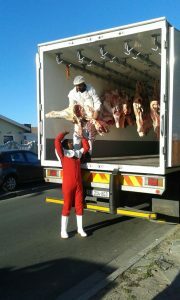 The trucks transported all the meat to the various locations. 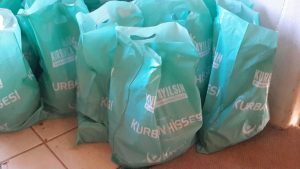 Eid gifts were welcomed by all. 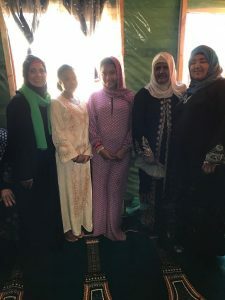 The sister (second from left) embraced Islam whilst the delegation was present. 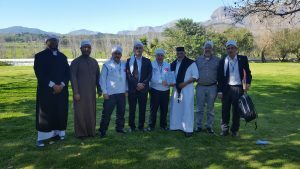 The delegation from the Hayrat Foundation left South Africa after a successful weekend.